Keyarash Hatamzadeh is a very involved student at White Station High School who has excellence, ambition, and determination running through his veins. As a Senior, Hatamzadeh is returning to staff for his third year. 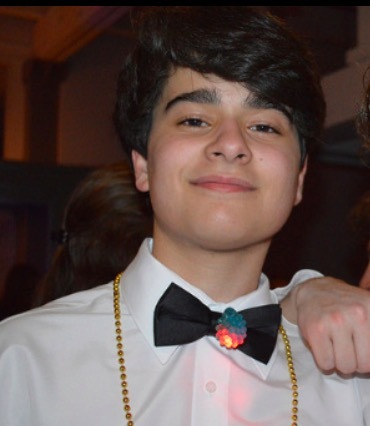 As Editor in Chief of The Scroll, Hatamzadeh plans to bring positive change and progress to the publication. Hatamzadeh is an avid sports fan of the Memphis Grizzlies, Memphis Tigers, Tennessee Titans, and Manchester United soccer Club. He loves the city of Memphis and all the culture it has to offer. At White Station, Hatamzadeh is the Co-President of the Youth in Government Club, participates in the Co-Ed Volleyball Club, is a third-year student council member, and is even a devoted DECA participant. Not to mention his participation in the Memphis Sonics Elite MAM basketball team. His passions are politics, sports, and writing.